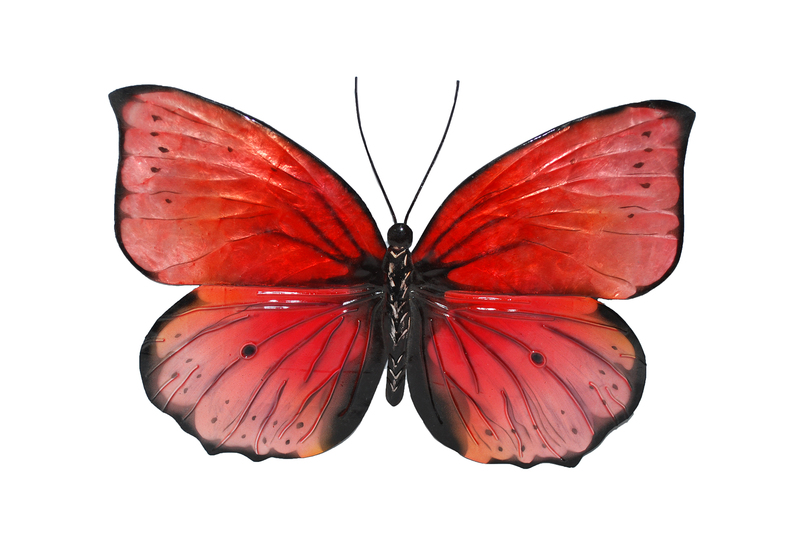 This butterfly is influenced by a tropical butterfly that is known for its bright red color, it's swift flying patterns, and its longer than usual lifespan. 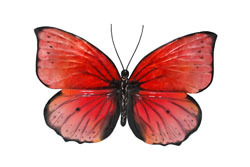 The artists truly captured the bold reds and contrasting black that this butterfly is known for in its natural form. To enhance the illusion of transparency, the artists use capiz shell in the upper wing to reflect more light. Hand-painted, but with varying degree of hue, this butterfly will feel like the real deal on your wall, except for the size of course.